One of the biggest problems with duplicate files is that they take up some extra storage space on your hard drive. Moreover, having duplicate content does not make sense, unless you are keeping a backup. Some people backup more that they initially intended, but they are unable to realize that they did. Because it is necessary to preserve space for necessary content, you should consider removing duplicate files, and the best way to do this is to use a duplicate file remover solution. Anti Twin care about what you store on your hard drive. 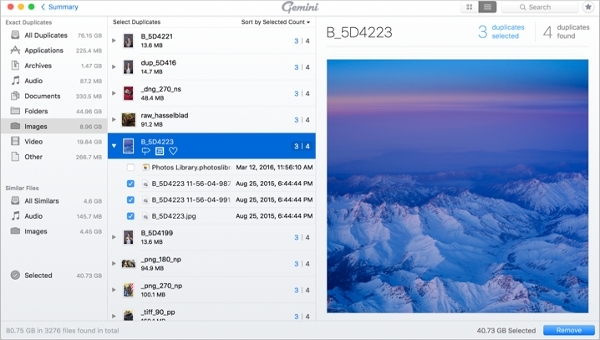 It compares its content to identify similar files and folders. When the app finds duplicate content, it will give you an option for deleting the duplicate content permanently or delete to the recycle bin. Restore hard drive space in minutes. 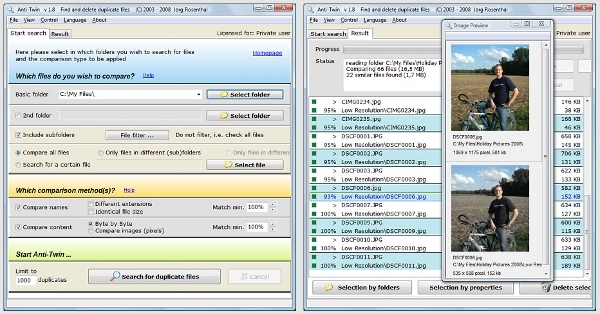 Use Duplicate File Remover to detect single or multiple copies of the same file. Use this tool to check whether you have copied texts, images, documents and videos. It gives you the option to hard link, delete, move, or copy the duplicate files. Create more space on your hard drive in minutes. 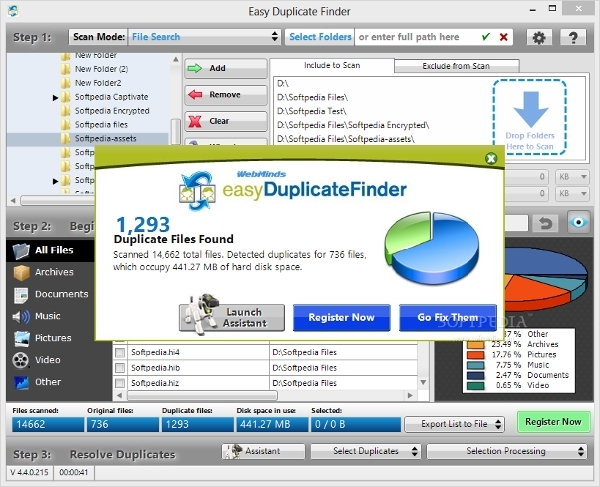 Easy Duplicate Finder is a professional solution for Mac OS and Windows Computers. No matter what type of file exists in duplicate on your computer’s hard drive, this tool will help you find it. Once you identify the copied files, delete them immediately to create extra space on your hard drive. 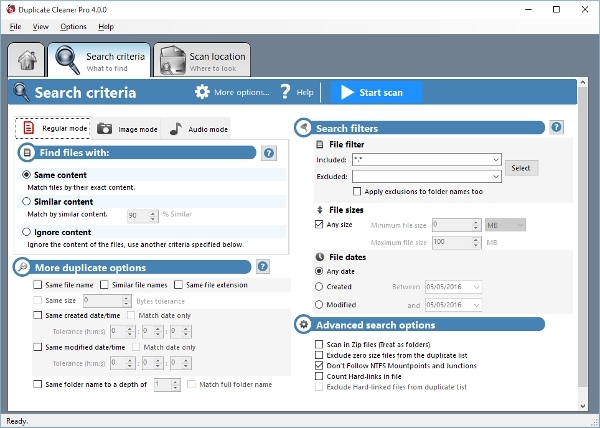 If you are looking for the software that can help you locate duplicate files, you will find the tools below very useful. They all have one thing in common: they help you find duplicate files on your hard drive. Once you find the duplicate files on your hard drive, you can take them to the recycle bin, create links or delete them to the recycle bin. Duplicate Files Finder is a powerful solution for Linux OS. The beauty of this software is far beyond the fact that it has a unique and friendly interface. The best thing is that it is 100% free, for a lifetime. Use this software to find duplicate photos, files, music, document and videos, and then erase them to create space on your hard drive. 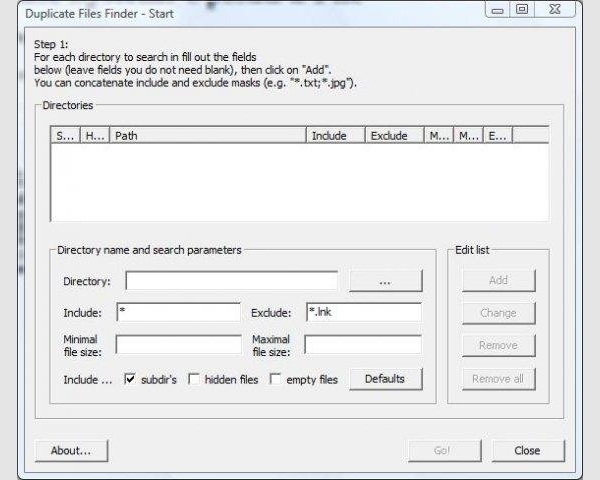 Fast Duplicate File Finder is a premium software, which means you have to pay some bucks to use it. The best thing about it is that it has unique features, including the filter functionality. However, it is not the best software solution for those who are looking for more functionality. Use Gemini for Mac to find a file that looks similar in the same or different folders. It is best to delete the files to create space on your hard drive. The best thing about this tool is that it delivers the best results. If you are looking for a software solution that works within a short time, Gemini for Mac should be your choice of tool. Duplicate Cleaner is known as one of the most stable tools for detecting duplicate content. It can help detect files of any type, return accurate results, and enable you to delete the files that you do not need. This will help you to create extra space on your hard drive. Use the space to store useful data or information. What is Duplicate File Remover Software? Duplicate File Remover Software is a solution developed to help you find copied files on your hard drive.The software is simple to use. You run it, and it detects all the duplicate files on your computer. Then, you can delete all the duplicate files permanently to create space on your hard drive. Note that it can create space on any storage medium. The purpose of these software solutions is not just to erase files from your computer. They help you to remove those files, thereby creating more space on your hard drive. Duplicate files are unnecessary, and they could fill up your disk and slow down your computer, which is why you need to use a duplicate file remover to solve this problem if you have it.